The dark reality for Catholics and other religious minorities in Russia. 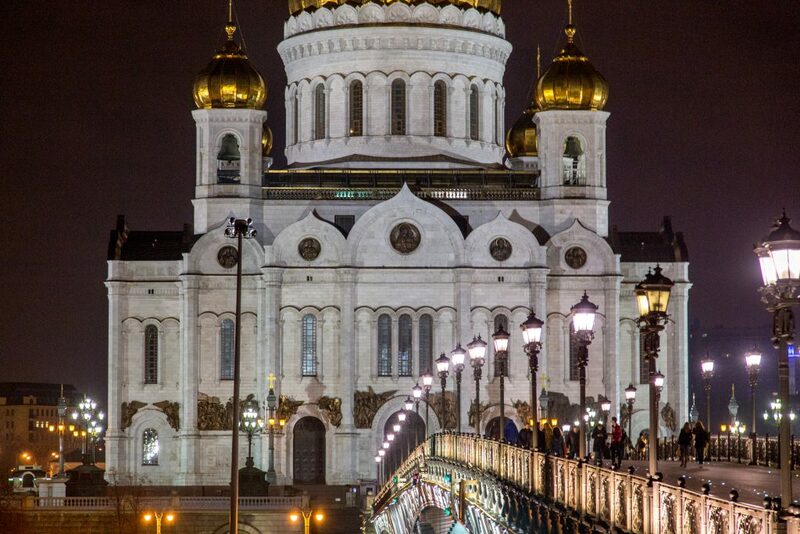 MOSCOW- Across the world the Catholic Church is a power to be reckoned with in both religion and politics. However in the massive country of Russia they live in the shadow of the Orthodox Church. This position as a minority has created a situation where Catholicism in Russia is under constant pressure. The first St. Patrick’s Day celebration in the Orthodox Church is a mix of a traditional mass and a festive night of singing and drinking. The room is filled with Irish songs, people are wearing the green four-leaf clover and food is plentiful. Those who close their eyes may think they have landed in Dublin during the celebration of St. Patrick’s Day, until you notice the accent of the singer. The Irish songs are mixed with Russian folk sings, the green four-leaf clover is adorned with cyrillic text and the food consists of Russian pastries and sweets. Because you’re not in an Irish Pub or the streets of Boston but in a Orthodox Church, in the heart of the the Russian capital; Moscow. This year the Russian Orthodox Church of Russia celebrates its first St. Patrick’s Day. 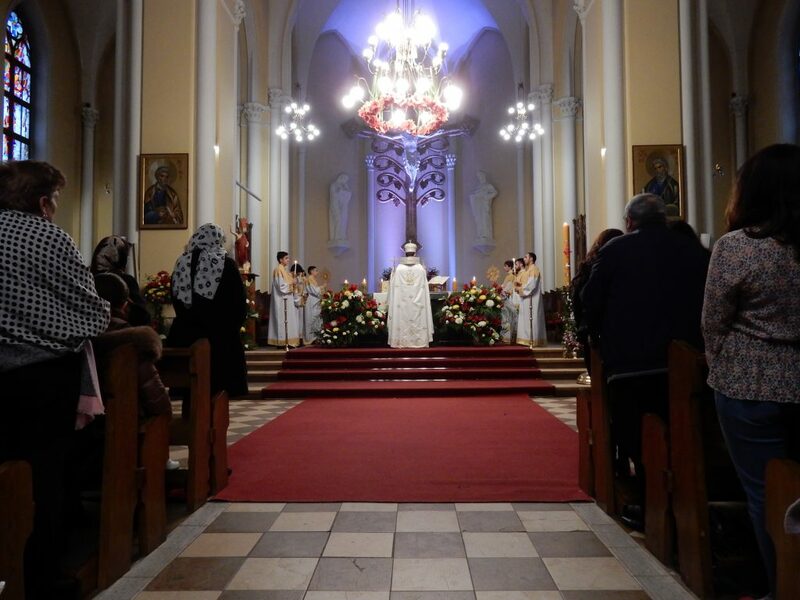 The originally Catholic holliday is popular with Russian youngsters and the Orthodox Church has therefore chosen to celebrate the holiday as an attempt to draw the youngsters closer, according to Dr. Victor Khroul – an expert in Russian minority religions and a Catholic himself. Although the Orthodox attendees see it as a symbol of unity, others view this as the next attempt to limit the expansion of the Catholic Church in Russia. Religious minorities like Catholics in the country don’t stroke well with the vision of a homogeneous Russian society. According Catholic priest Kirill Gorbonov the Kremlin and the Orthodox Church are in a close alliance to suppress minorities and it works in the favor of both. The Orthodox Church and The Kremlin uphold a strong connection that profits both parties. “For many centuries Catholics in Russia were perceived as enemies. Some of them are from Lithuanian or Polish origin. Catholicism was the faith of Europe, the faith of invaders like Poland, France and Germany. This made people refer to Catholics a heretics and see them as anti-Russian”, tels Dr. Khroul. Lately this attitude has also been pointed at Muslim minorities. Partly because of this Catholics have remained a tiny minority in Russia, accounting for 140,000 to 773,000 depending if you believe the Kremlin’s or the Vatican’s numbers. 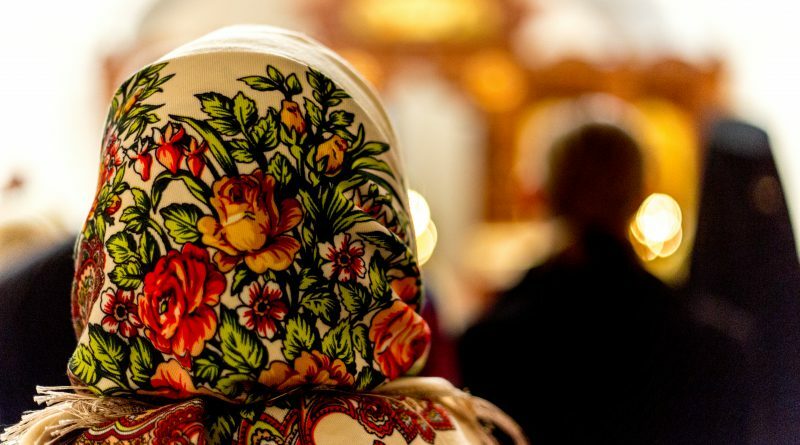 But even with the highest estimates they only make up 0.5 percent of the population compared to 6.5% of the population being Muslim and a whooping 74 percent of Russians identifying themselves as Orthodox. Nowadays this situation has improved significantly for many Catholics. As the Catholic and Orthodox Churches have informally agreed that, if Catholics don’t preach outside of their churches and refrain from missionary work, the Orthodox Church would discourage discrimination against them. A meeting last year between the Pope and Patriarch of the Orthodox Church in Russia improved these relations further. “The fact remains that most -if not all- Catholic media outlets have been closed down in the past years for political reasons”, according to Dr. Khroul. Less worldly Russians suffer from Catholic-phobia encouraged by the few Orthodox news sources that they rely on. 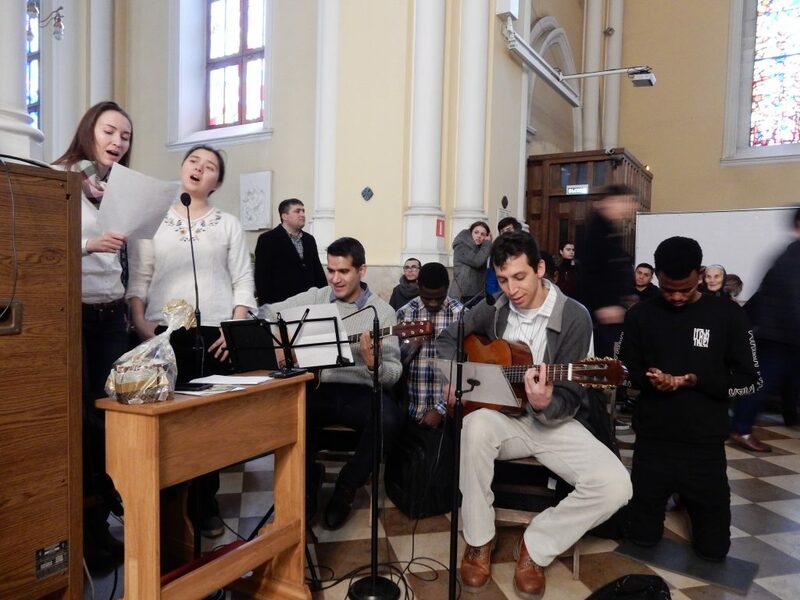 Catholics in Russia are under constant pressure, although they are more faithful. 25 percent of Catholics prays daily compared to the Orthodox average of 17 percent. Officially the Russian Constitution guarantees equality and freedom for all religions. But according to Dr. Khroul the law in Russia is ‘flexible’ and President Putin’s close alliance with the Orthodox Church has led to a leading role for that Church, while other religious movements are actively discouraged. Just two weeks ago the Russian Supreme Court outlawed Jehovah’s Witnesses in the country and put them in the Russian database of extremist besides the likes of al-Qaeda and the Islamic State. Some in the Catholic Church fear that they might be next in the government’s quest to create a politically and religiously homogenous society free of significant opposition or minorities. When entering the bright red Catholic Cathedral of the Immaculate Conception in Moscow on Easter you could hardly imagine that Catholics are under pressure. The biggest Catholic house of worship is filled to the brim. Left and right you hear French and German language break through the Russian speech. The Cathedral arguably houses the most diverse group of people in Russia: Russians, Africans, Hispanics, Filipinos and people of European descent make it a refreshing sight compared to the exclusive Slavicness of the Russian streets. Over Easter brunch, including KFC and several Russian treats, Fr. Kirill Gorbonov blesses the mostly Filipino English speaking community of Catholics in the side chapel of the Cathedral. While the many attendees voice their concerns with words as ‘oppressed’ and ‘uncertain future’ Gorbonov is more nuanced. 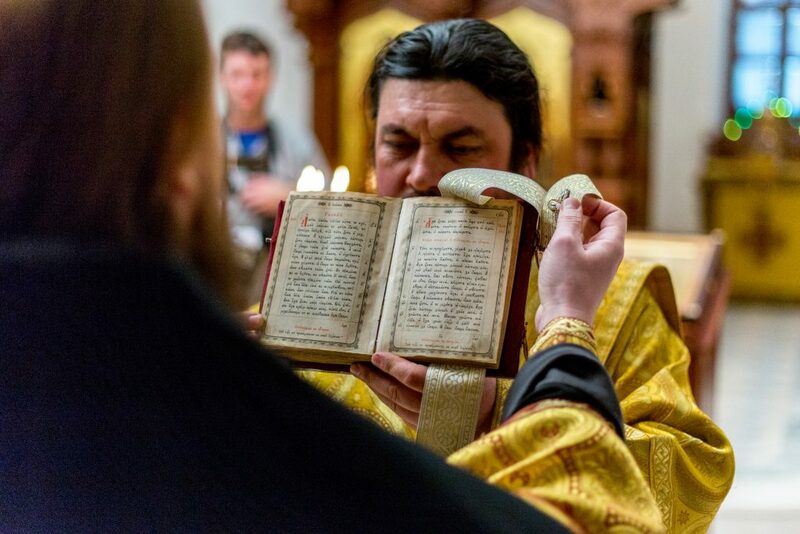 The diversity and community in the Russian Catholic Church really sets it apart from the Orthodox Church or even its befriended Catholic communities in Europe. 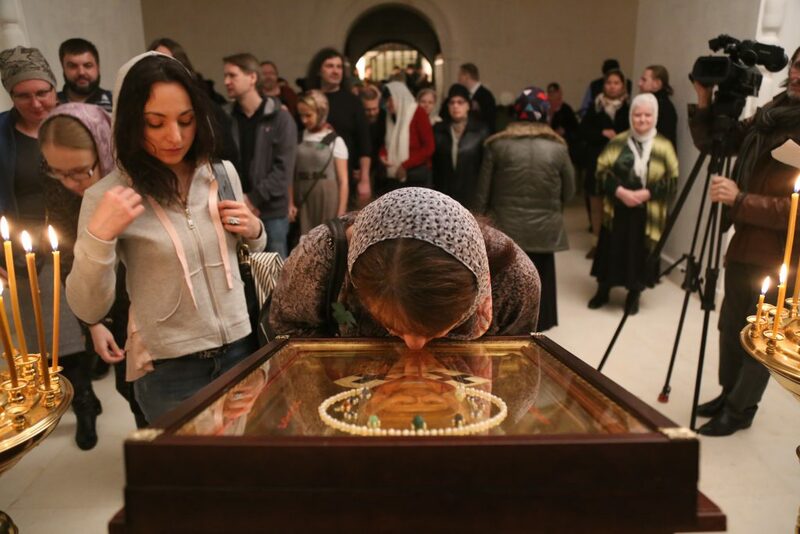 As the Orthodox mass for St.Patrick’s Day is coming to an end Russians bow in front of a lavishly golden icon of St. Patrick and kiss his image. Elena Zhosul, organiser of the special day, sniggers a bit; “we didn’t have an icon of St. Patrick so we had to get one off the internet at the last minute”. Most Orthodox Russians don’t feel the need to talk about the struggle of other religions in Russia. On the picture faithfull Russians are kissing the icon of St. Patrick, that was bought from the internet just days before. According to Dr. Khroul all this signifies a trend towards a more authoritative control over religion in the country. Where it opened up and prospered after the fall of the atheistic Soviet Union, the country and its religions minorities now face a new government that is vying to control religion. Meanwhile the Orthodox youngsters sit together in green clothes, with green soda and listening to Irish music. “I am super happy that we finally get to celebrate St. Patrick’s. It’s fun, exciting and a nice change from the usually more traditional and boring holidays. It is the good thing about Catholicism”, says the most vocal girl from the group while the rest nods.